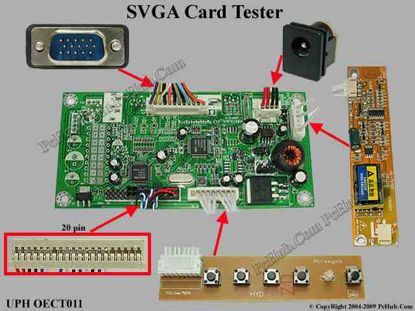 UPH OECT007 WSXGA Card Tester Tester- LCD Screen . This item using 12V AC Adapter to power up and for testing WXGA (1440 X 900) resolution LCD Panel. 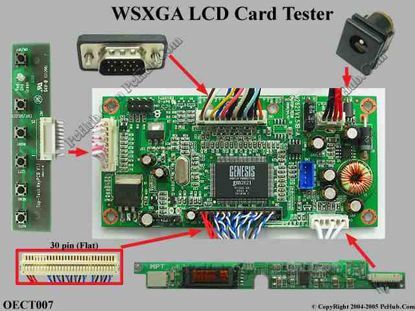 UPH OECT008 WXGA Card Tester Tester- LCD Screen . This item using 12V AC Adapter to power up and for testing WXGA (1280 X 768) resolution LCD Panel. 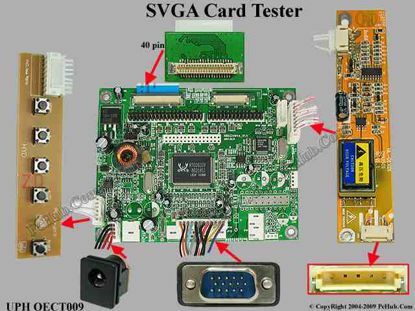 This item using 12V AC Adapter to power up and for testing SVGA (800 X 600) resolution LCD Panel. 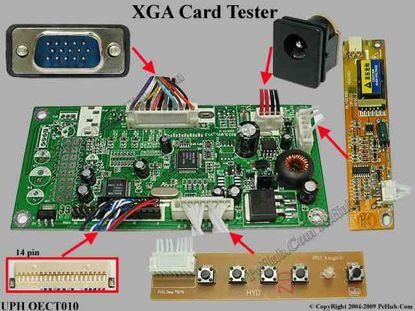 UPH OECT010 10.4" XGA Card Tester Tester- LCD Screen . 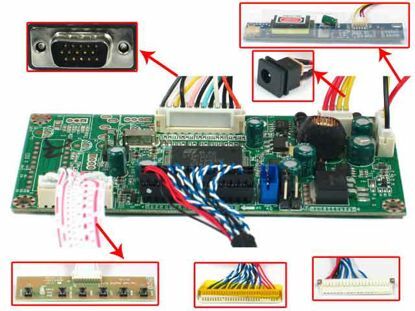 This item using 12V AC Adapter to power up and for testing XGA (1024 X 768) resolution LCD Panel. 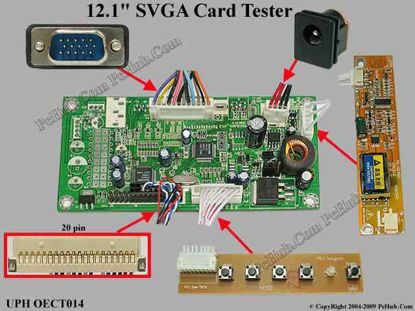 UPH OECT012 11.3" SVGA Card Tester Tester- LCD Screen . 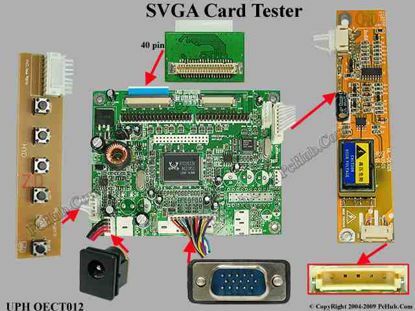 This item using 12V AC Adapter to power up and for testing 12.1" SVGA (800 X 600) resolution LCD Panel. 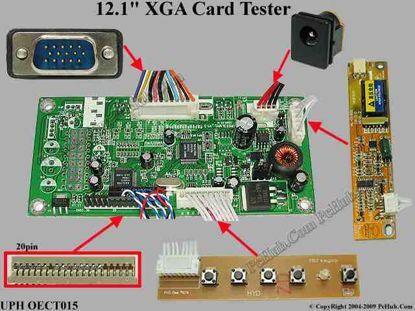 UPH OECT015 12.1" XGA Card Tester Tester- LCD Screen . This item using 12V AC Adapter to power up and for testing 12.1" XGA (1024 X 768) resolution LCD Panel.